Some professionals will tell you NOT to use the Jamaican Mango & Lime Locking Gel, while other “dreadheads” will say it’s their favorite product; so who do you listen to? The facts. 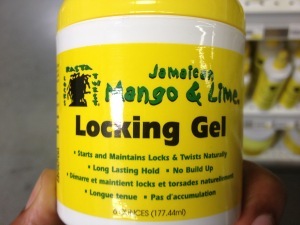 When you pick up a jar of the Jamaican Mango & Lime Locking Gel you’ll see claims of “Long Lasting Hold” and “No Build Up” and the promise that it will “start and maintain locks and twists naturally”, yet when you look at the back of the jar the ingredients appear unnatural. Personally, I can’t pronounce half of ingredients so I would put it back on the shelf but more than half of consumers do not read labels or research the ingredients. So let’s take a look at exactly what’s inside this yellow jar of locking gel. 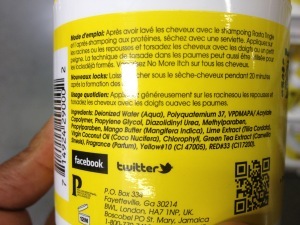 After reading that label, would you use it on your hair? Maybe. But let’s read the ingredients list in terms of how “good*” they are for your hair. It is assumed that the ingredients are listed in order of strength, from most concentration to least. Deionized Water – Good Ingredient – Used as a solvent. Water is always a great start to a product. Polyquaternium 37 – Cautionary Ingredient – Used to keep down fly-aways due to static electricity. Also used as a hair fixative, so this means it can build up in your hair with repeated use, making it sticky or crunchy. VPDMAPA/ Acrylate Copolymer – Cautionary Ingredient – Film-forming/ plasticizing polymer which can cause build up and get sticky. Propylene Glycol – Cautionary Ingredient – Is a form of mineral oil, an alcohol produced by fermentation of yeast and carbohydrates. 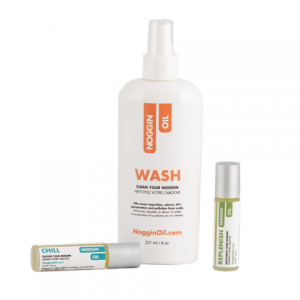 Diazolidinyl Urea – Cautionary Ingredient – Preservative that has had some controversy for being a formaldehyde-releasing preservative that can cause skin irritation. Typically added to commerical products to work against molds and yeasts but it needs to be used with other preservatives, such as parabens. 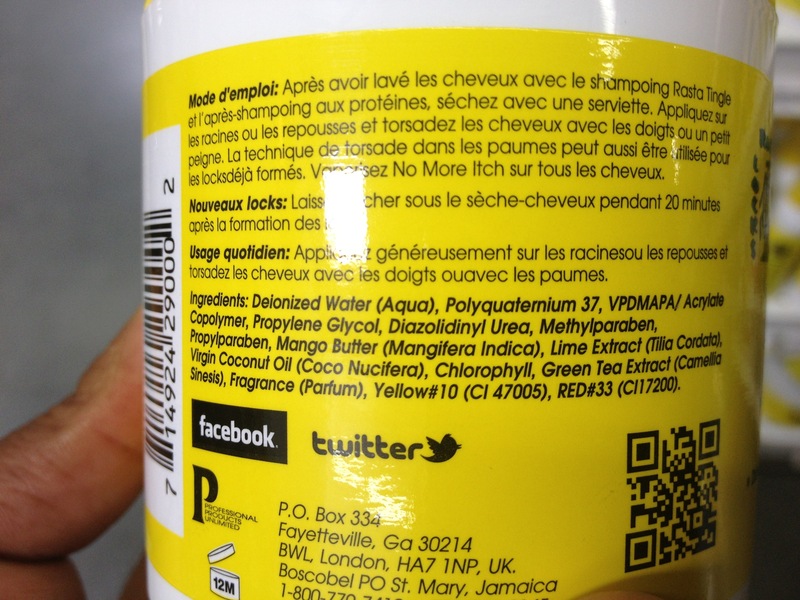 Methylparaben – Cautionary Ingredient – A food grade preservative (paraben) that is potentially harmful. Proplyparaben – Cautionary Ingredient – Another food grade preservative (paraben) that is potentially harmful. Mango Butter (Mangifera Indica) – Cautionary Ingredient – Used for conditioning and as a humectant but on locs can cause build up with repeated usage. Lime Extract (Tilia Cordata) – Avoid Using Ingredient – Can be drying to the hair and irritating to the scalp and it may cause skin irritation and/or sun sensitivity. Virgin Coconut Oil (Coco Nucifera) – Cautionary Ingredient – Good moisturizing oil that can penetrate the cortex but can solidify overtime and lead to build up in locs. Chlorophyll – Okay Ingredient – Classified as not expected to be potentially toxic or harmful and its not suspected to be an environmental toxin. Green Tea Extract (Camellia Sinesis) – Good Ingredient – It is soothing and can reduce inflammation on the skin but it can’t do anything for the hair. Fragrance (Parfum) – Cautionary Ingredient – The word “fragrance” or “parfum” on the product label represents an undisclosed mixture of various scent chemicals and ingredients used as fragrance dispersants such as diethyl phthalate. Fragrance mixes have been associated with allergies, dermatitis, respiratory distress and potential effects on the reproductive system. Yellow #10 (CI 47005) – Okay Ingredient – Yellow food coloring found in products for teeth, bath products, conditioners, and shampoos. Red #33 (CI17200) – Okay Ingredient – Red coloring ingredient used in lipstick and blush. 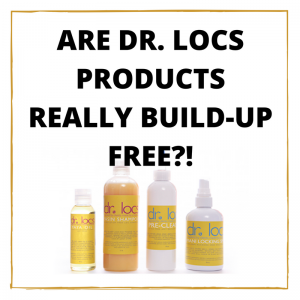 I would not recommend using the Jamaican Mango & Lime Locking Gel in locs because it will cause build up in the locs, as identified within the first 3 ingredients. Additionally, there are many additives in the gel that are not beneficial to the hair. Also, consider that most people seeking “lasting hold” are only shampooing their hair once a month. What that means is you will apply this “gel” filled with things that will coat and suffocate the hair for an entire month. In that scenario, the chances of buildup are very high. Also, from personal experience, when my husband used the Jamaican Mango & Lime Locking Gel in his locs (before he met me!) there was excessive build up. The build up from the Jamaican Mango & Lime Locking Gel took weeks to visibly remove but was still stuck deep within the locs. You can also see more in-depth looks at how Jamaican Mango & Lime gel builds up inside locs from my video “Jamaican Mango & Lime Under the Microscope“. There are very few commercially available product, and even fewer holistic products, to use instead of Jamaican Mango & Lime Locking Gel that will prevent build-up and/or your locs from thinning so I understand the frustration. Professionally, I recommend making your own homemade aloe vera gel. By making your own aloe vera gel, you control what is in the mixture and what goes on your hair & scalp— and in the long run, you save money. Alternatively, you can check out the list of products for retwisting locs. Share your experience with Jamaican Mango & Lime Locking Gel in the comments! 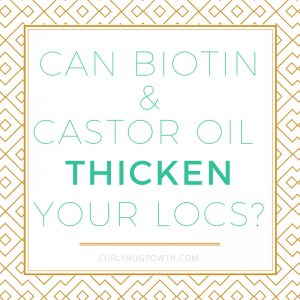 Do Biotin & Castor Oil Really Grow Your Hair? I would actually make a correction. Propylene Glycol is what is used in Anti-Freeze for a car. It is also used in hair dyes. Why would you put Anti-Freeze on your scalp knowing that your body is capable of soaking up whatever you put on it? It can probably cause some kind of cancer too, but I haven’t done all the research possible on the effects of using Propylene Glycol on your body. Just be cautious regardless. Oh man! Propylene Glycol is a debatable ingredient but I will update the post to include it! Either way, many of the ingredients in this product should not be used in the on the scalp or hair. What about their other products? Not so good either. I can do more reviews on them if you’d be interested. Have you reviewed Nature’s Blessing? It’s called a “pomade”, the ingredients over all look to be good, but darn that “pure mineral jelly”…not sure what THAT is!! My hair needs some hold for those errant almost straight strands that love to wander and get all caught up in other loc’d, so I need something to help them stay put while I hope the decide to lock into the right lock. Water doesn’t do it yet, sad to say. I’ve used a LITTLE bit on my fingers when I wrap the loose strands around the lock with NB. Seems to hold them down…for a while. Any suggestions (besides scissors)??? 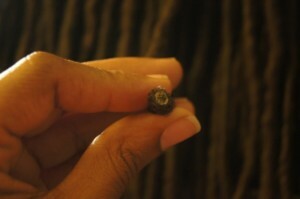 Don’t cut the stray hairs, they will eventually merge into the locs to make them solid and strong. Frizz is natural part of the loc’ing process, I want to stress embracing the journey and the loc’d aesthetic and not overtwisting to try and tame it— I made this mistake. I would avoid it all together, but it is your choice. Your awesome! My husband uses that product and has massive build up. I read one of your comments abt acv/ baking soda cleanse. What is acv.? Thank u for your review. It was very helpful. I’m glad it was helpful. ACV is apple cider vinegar. I would see if you can get it out at your first shampoo, if you can just continue with a different product; but if you can’t, definitely do a thorough cleanse and restart.